* $60,000 2/yr Group Term Life Ins. *Lifetime/Active Educator $1,500 One-time payment. Your first year of membership (must be W-2 employee**) includes $2 million Professional Liability Insurance with Job Action Protection as part of your membership benefits. After the first year, you will need to pay a small annual fee ($25/yr) to maintain your membership with liability coverage. Lifetime/Retired Educator $499 One-time payment. *New members only. Subject to carrier underwriting approval. **Purchase affordable, comprehensive protection at Group rates. 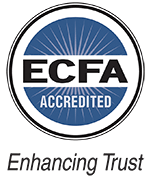 ***Members with Coverage are also part of the Christian Educators Movement.